With April Fool's over, let's get back to some proper rumor-mongering, shall we? 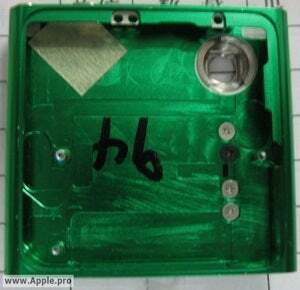 We'll begin with this supposedly leaked image of an iPod nano. The form factor is the same, but they've added a small camera. Did someone say spycam? The leak comes from a site with a proven track record for nailing Apple rumors. The only real question about the form factor is how the clip would be affected. Adding a camera would necessitate some kind of repositioning.